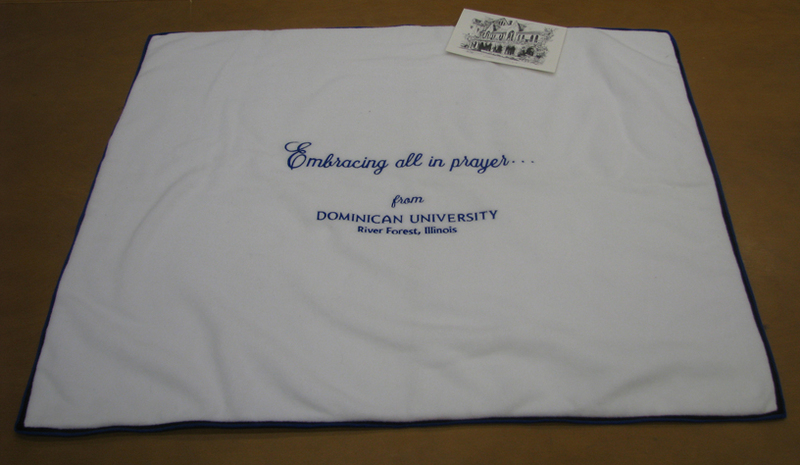 White fleece blanket with blue and black border reading in blue: Embracing all in prayer...from Dominican University: River Forest, Illinois. 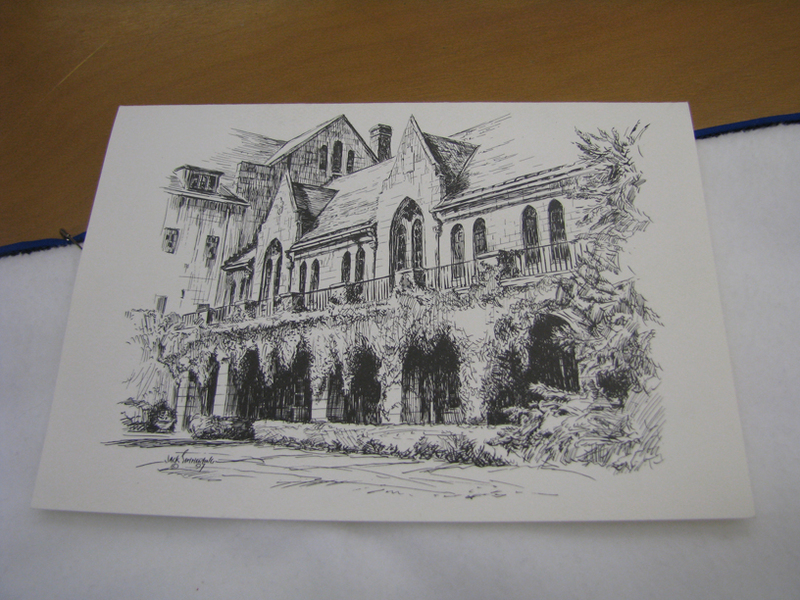 Card included with picture of building on front and various messages, prayers and signatures inside. 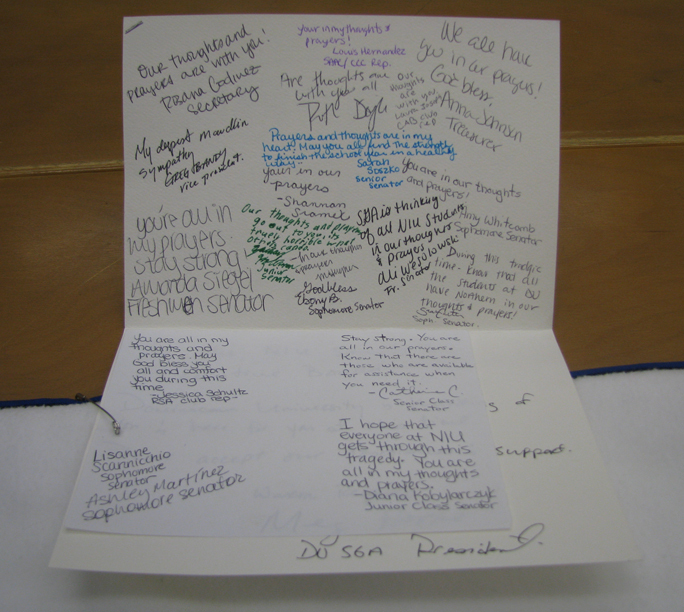 Main message in card reads: To the NIU Senate & Executive Board: Dominican University is thinking of you & here for you at this time: Please accept our condolences & support: Warm Regards: Meg Hoppe, DU SGA President. Size: (Blanket) 29" tall by 34.5" long; (Card) 5" tall by 7" wide.